“Agatha Raisin” season 2 premiere date. New release date on DateReliz.com: trailers, spoilers, cast. 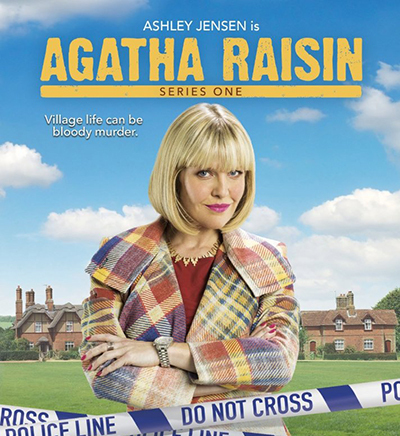 “Agatha Raisin” (season 2, release date – pending) is a series produced in Great Britain. It is a humorous and mysterious detective Story based on the novel by Marion Chesney. This successful series was directed by Geoffrey Sax, Roberto Bangura and Paul Harrison. The debut of the two-hour pilot episode of this show took place at the end of 2014. Eight episodes of the series were first shown on Sky 1 channel in June 2016. Each episode lasts an hour. Jamie Glover as James Lacey – Agatha’s neighbor. This whimsical series describes the life of Agatha Raisin, the Main character. She works in public relations in London, however once she makes a decision to change her life drastically. She leaves the capital and settles in a small village which seems calm to her at first. When she moves there, she starts taking part in solving strange criminal cases. In the first one of them she turns out to be the suspect. In the last episode of Season 1 James and Agatha’s wedding is disrupted by Agatha’s former husband, who was considered to be dead. He claims that he wants to receive monetary compensation because he agreed to divorce Agatha. Soon he unexpectedly dies, and the Main heroine becomes the murder suspect. To protect herself and save her reputation, she must investigate this case on her own. James helps her to do that, and they make a surprising revelation together. The premiere of the show collected approximately 0,86 million spectators. The number of viewers of the following episode was somewhat smaller – 0,74 million people. The reviews of the show are more positive than negative. Some critical reviews consider the show to be not too engaging to keep the audience interested. They claim that Agatha is too careless to be appealing to the people watching the series. However, the show is a good variant of light amusement. The series have not been continued for the second season yet, but the chances of prolongation are high, so we will see what will happen to the series in the near future.